This heavy-duty insect screening is three times stronger than regular insect screening. Pet-resistant and tear and puncture-resistant, it is ideal for use in high traffic areas. This screening product installs like regular insect screening and is excellent for use in patio and porch enclosures, as well as windows and doors. Phifer BetterVue Screen Kit includes all the tools needed to easily install your new BetterVue window screen. BetterVue insect screen is engineered to provide premium outward visibility and superior airflow, without sacrificing insect protection. BetterVue offers an excellent viewing experience when the focus is on the view. Phifer BetterVue is an improved Visibility screen (iVis). This screen is engineered to provide premium outward visibility and superior airflow without sacrificing insect protection. BetterVue offers an excellent viewing experience when the focus is on the view. 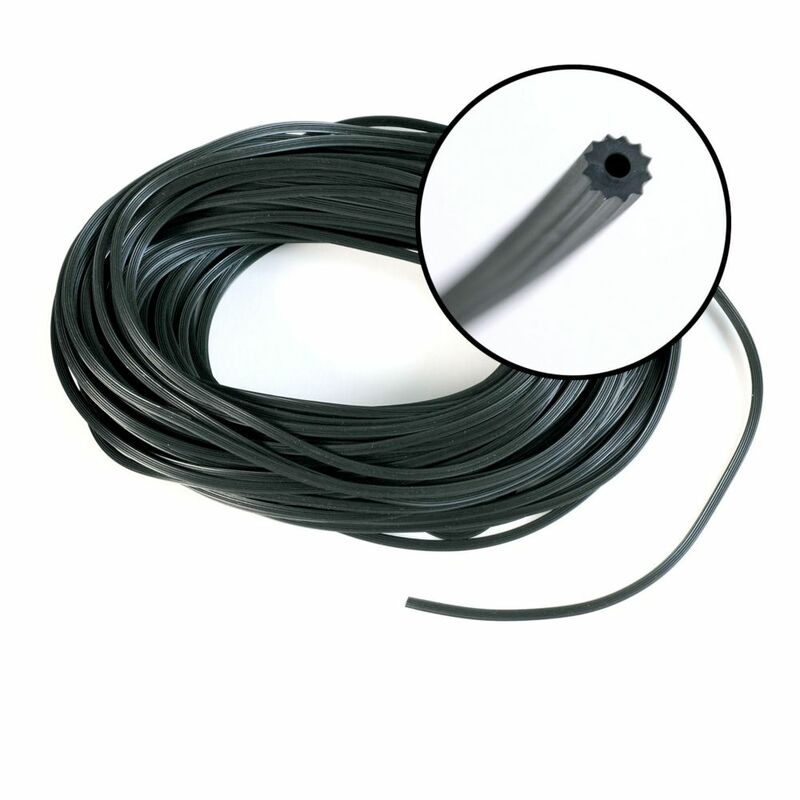 .175-inch x 100 ft. Black Spline This Serrated Vinyl Spline is for use in replacing screens in windows and doors. It is available in various diameters to form a tight fit when rolling the screen into the frame. Designed for the do-it-yourselfer, this spline is available in black and also gray and is great for small jobs and large jobs. .175-inch x 100 ft. Black Spline is rated 4.5 out of 5 by 13. Rated 5 out of 5 by Gerardo from Stays in place, easy to install.... Stays in place, easy to install. Rated 4 out of 5 by ken1235 from This worked in lieu of the aluminum strip used on... This worked in lieu of the aluminum strip used on the Anderson window screens. Rated 5 out of 5 by megrat7 from Easy to use, easy to install. Worked perfectly to re-screen our porch! Easy to use, easy to install. Worked perfectly to re-screen our porch! Rated 5 out of 5 by PeteMcG from Exactly as described and worked as expected. Exactly as described and worked as expected.